Design Box London was formed in 2010 and is owned and run by Alexandra Lesinska and Emma Rowbory. 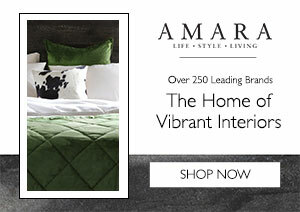 It has grown into a highly reputed interior design studio specialising in private residence, luxury development and boutique commercial projects. Design Box London offers a personalised and comprehensive design process, tailoring its approach to meet individual client briefs, styles and geographical requirements. The Design Box team offers a full structural, turnkey service taking projects from concept though to completion, whilst the studio can also provide more flexible consultancy services for key stages of any given project. 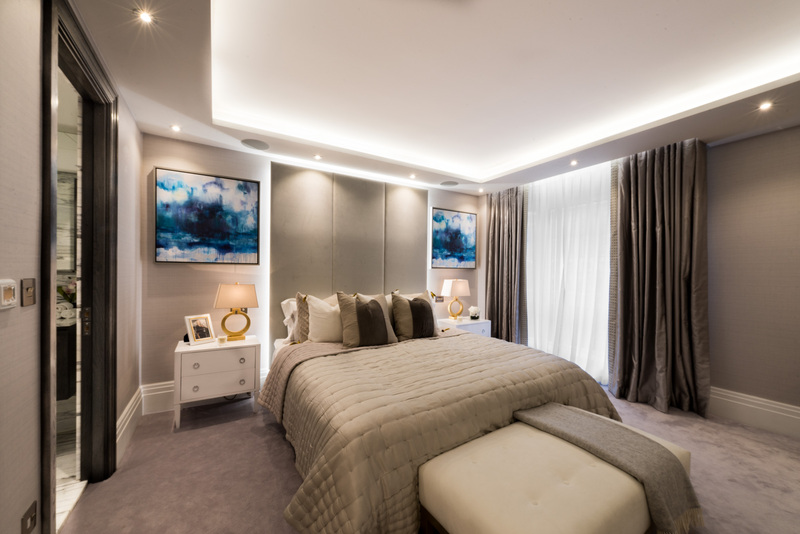 The brief was to completely reconfigure this tired two-floor property into a three bedroom luxury duplex with a wow factor. 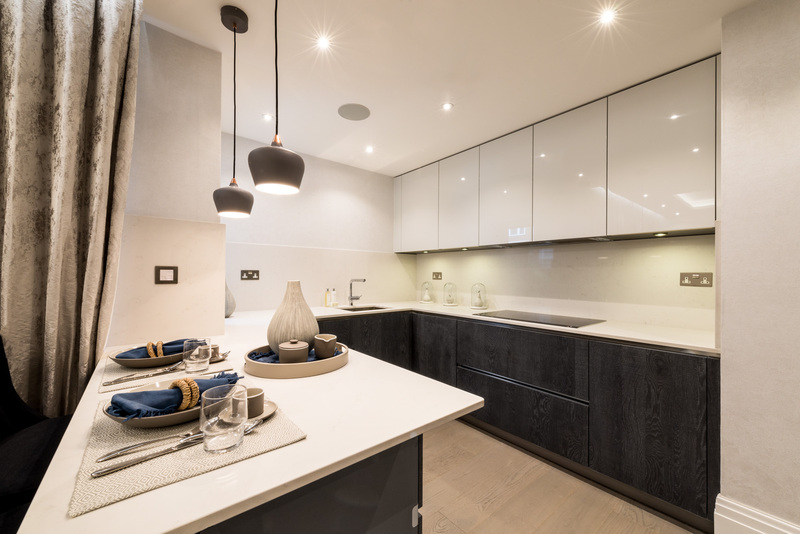 Bespoke joinery, high-end finishes and monochrome tones were selected to create a high-end finish and ensure an optimal exit price for the developer. 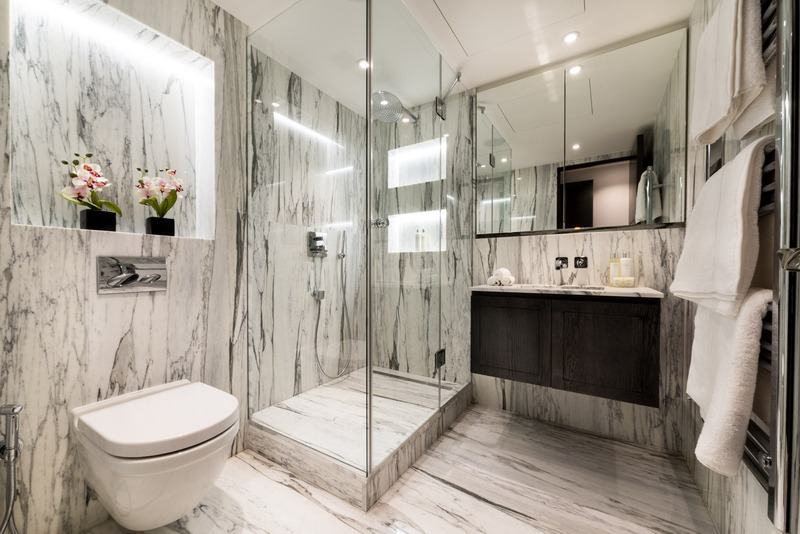 In terms of space planning, the property was transformed from a dingy two bedroom flat with poor circulation space and floor plan, into a luxurious three bedroom en-suite flat, which was met with full approval by The Crown Estate. Originally the client wanted to install a completely glass staircase, however due to planning restrictions we simplified this to a glass balustrade to avoid planning issues, which still created a modern and spacious feel. The project was a great success, aided by the team having worked on a number of projects together previously. Stoneblack Ltd – the main contractor – provided fantastic finishes and worked to a tight build schedule; whilst our client – Ameyaa Developments – was happy to make quick decisions on materials and finishes at every phase of the project. The mixture of reflective wallpapers, monochrome tones and streamlined joinery provided a dramatic and striking feel. Our favourite room at the property was the main hallway. 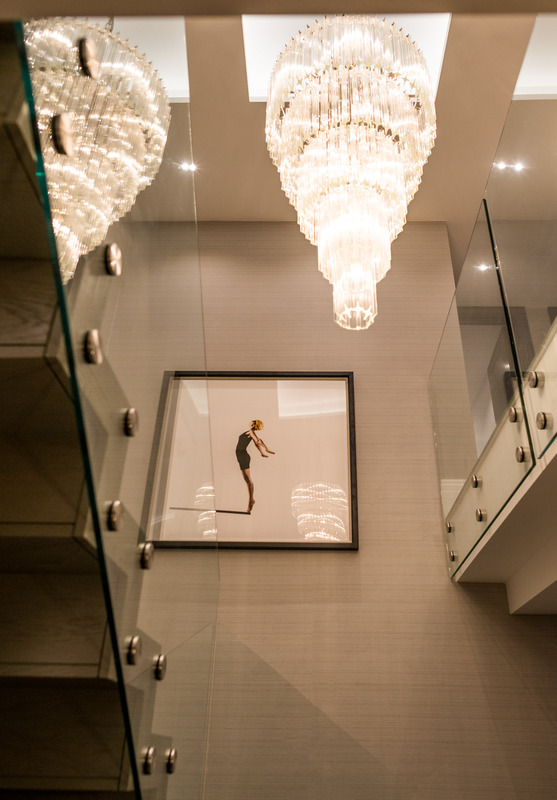 The juxtaposition of glass balustrade, crystal chandelier, silk wallpaper and statement artwork created a real wow factor upon entering the flat, whilst the impressive floor to ceiling heights provided a surprisingly spacious feel. 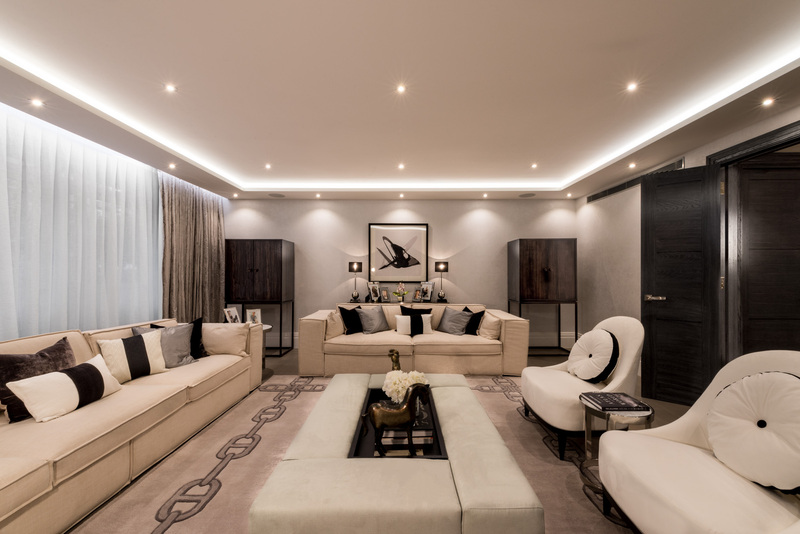 As the property falls within the Crown Estate, working hours on-site were limited from 9am until 2pm every day, which put pressure on the build team to complete the project as quickly as possible. However, organised teamwork and dedicated workmanship allowed for all deadlines to be efficiently met, with much of the joinery being manufactured off site to assist in a streamlined time management process.